Remarks made by top officials in East Turkestan (also known as Xinjiang Uyghur Autonomous Region) at the National People's Congress (NPC) in Beijing this week reveal a disturbing failure on the part of Chinese authorities to examine the role of official policy in Uyghur unrest. In addition, in the wake of similar remarks made in the past by officials in East Turkestan, regional authorities have heightened crackdowns on expressions of peaceful Uyghur identity and dissent, and the Uyghur American Association (UAA) fears that the most recent comments made by the regional governor and Communist Party chief portend an increase in the official repression of Uyghurs, including unlawful detentions and security checks, and a corresponding rise in unrest. UAA believes that the broad scope of repression carried out amongst the Uyghur population belies officials' pronouncements that they are targeting only a tiny percentage of Uyghurs who are creating disharmony in the region. Xinjiang governor Nur Bekri was quoted in official Chinese media as stating on March 5 that China would "spare no efforts to prevent and crack down upon sabotage activities of the three evil forces of separatism, extremism and terrorism to ensure social stability". Bekri, who serves as a deputy to the NPC, also pledged that regional authorities would "strengthen the management of religious affairs in accordance with relevant laws." In addition, Bekri remarked on March 7 that recent incidents of unrest in the southern part of East Turkestan had stemmed from "Islamic separatists" with ties to militants in Pakistan. Past rhetoric aimed at the "three evil forces" has preceded a spike in the arrests of Uyghurs in East Turkestan, followed by long-term detention, imprisonment, torture and even execution. Following remarks made by Bekri and former Party Secretary Wang Lequan in early 2009, regional officials carried out a brutal security campaign against Uyghurs, including house-to-house searches, mass arrests, security checks, and raids of peaceful religious gatherings. Chinese authorities have failed to acknowledge their own role in the promotion of unrest and ethnic discord in East Turkestan. By promoting a narrative that places all blame for unrest on forces emanating from outside of the region that are not representative of the overall Uyghur population, Chinese officials create a smokescreen that both masks the inherent flaws in their policies and ensures their continued grip on power. During the deadly unrest that rocked the regional capital of Urumchi beginning July 5, 2009, regional officials actively worked to exacerbate disharmony between Han Chinese and Uyghurs, but authorities did not publicly recognize their role in furthering ethnic discord. Bekri's recent remarks echo comments he made in September 2008 in which he accused Western nations of instigating terrorism, separatism and extremism in East Turkestan. Without offering evidence to substantiate his assertions, Bekri stated that "Western hostile forces" were responsible for a series of violent attacks that occurred during the Olympics period in the region. 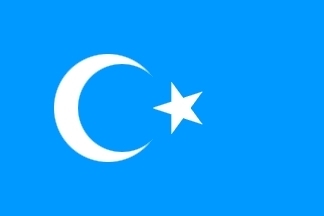 "Chinese officials continue to deny the role of official repression in the unrest that plagues East Turkestan, which is counterproductive to the maintenance of peace in the region," said UAA president Alim Seytoff. "While denying the damage caused by their own policies, and ascribing social problems in the region to "hostile outside forces", they are clearly refusing to examine the underlying reasons for the government's failed approach. By relying on brute force and increasingly repressive restrictions on Uyghurs' culture and religion, Chinese authorities are creating a vicious cycle whereby Chinese authorities respond to Uyghur grievances by cracking down even more heavily." Bekri's most recent remarks regarding the management of religious affairs reinforce fears that Uyghurs' peaceful religious practices will be even further restricted. The recent burning of more than 10,000 articles of religious media, including electronic versions of the Koran, in Aksu Prefecture as part of a local campaign against "illegal propaganda materials" highlights the recent aggressive nature of official tactics being employed against Uyghurs' Islamic faith. Radio Free Asia reported on March 7 that official campaigns against religious activities in Aksu and the northern city of Ghulja had resulted in the detentions of more than 10 Uyghurs and the closure of a number of sites of worship. The past year has seen a spike in unrest in southern areas of East Turkestan, including an incident reportedly involving the deaths of at least 10 Chinese and Uyghurs in Kargilik (Chinese: Yecheng) in late February, the killings of seven Uyghurs in Guma (Chinese: Pishan) in late December, and violent unrest that reportedly took place in the cities of Kashgar and Hotan in July and August. Xinjiang Party Secretary Zhang Chunxian told an NPC panel this week that the incidents were terrorist attacks, and that authorities would "show no mercy to these terrorists and fight them unswervingly." Zhang also stressed the need to fight against the "three evil forces." A third official, administrative commissioner of Kashgar Prefecture Akbar Ghopur, made similar remarks on the sidelines of the NPC, maintaining that "the three forces constantly try to infiltrate their extreme beliefs into the prefecture that borders Afghanistan and Pakistan." Meanwhile, Jurat Imin, an NPC deputy and vice-chairman of the Chinese People's Political Consultative Conference Xinjiang Committee, insisted that the overall situation in East Turkestan remains stable, with only a minute number of members of the "three forces" actively fomenting unrest in an otherwise peaceful region. Crackdowns on Uyghurs in East Turkestan, coupled with a rise in police and security monitoring, have been implemented since the unrest that took place in Urumchi on July 5, 2009. An untold number of Uyghurs were detained and "forcibly disappeared" beginning on July 5. More than 130,000 troops were specially deployed to East Turkestan from other regions of China in a bid to restore order and crack down on the Uyghur population following July 5. In August 2011, Beijing officials dispatched an elite anti-terrorism unit known as "Snow Leopard" to East Turkestan on the eve of a major trade expo taking place in Urumchi. In January 2012, authorities in East Turkestan announced that they were recruiting 8,000 police officers to the region to "beef up security in the vast countryside". Uyghur groups are concerned that this campaign, which is being carried out alongside a crackdown on "illegal religious activities", are fueling local tensions. In addition to these security measures, long-term measures carried out by the state have included the demolition of Uyghur cultural heritage in Kashgar, a monolingual language-planning policy, discriminatory hiring practices, and the encouragement of mass Han Chinese migration into the region. The Chinese government issued a "White Paper on Development and Progress in Xinjiang" in 2009, declaring that ethnic harmony in East Turkestan has made great strides, and the only factor inhibiting social harmony and economic prosperity in the region is that of "East Turkestan terrorist forces" supported by "hostile foreign forces". The document represents Chinese officials' failure to investigate flaws in official policies, including a reliance on brute force to maintain "stability". Incidences of unrest, often referred to as "mass incidents" by Chinese officials, have been on the increase throughout China in recent years, but outside of East Turkestan, these events are rarely labeled as terrorist acts.